description: The rhizome is erect, supporting wide fans of soft, willowy fronds. The grooved stipes are coated with warm-brown scales that are a glittering silver on emerging fiddle-heads. 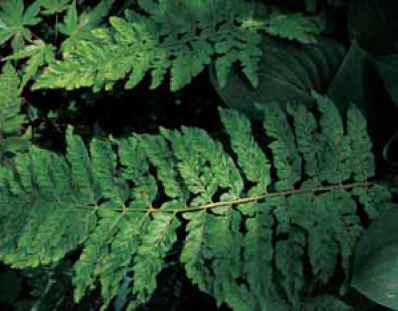 They are one-fifth of the frond length. The bipinnate, lanceolate blade is broadest in the middle with 30 to 40 pairs of pinnae with stalked, toothy spinulose pinnules. Sori with peltate indusia are medial. 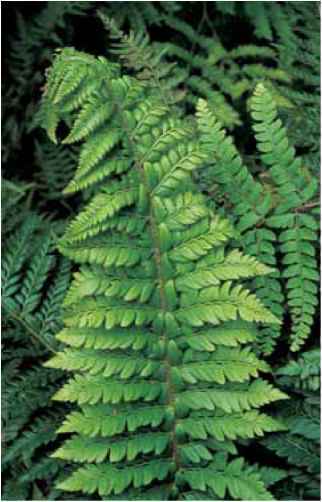 range and habitat: Soft shield fern is common in its native Britain as well as Europe growing in hedgerows, and in deciduous woodlands along streambanks at low elevations. It is best in neutral soil, although it can be found in slightly basic or slightly acid compost. culture and comments: Plant this species in a moist, but not wet, lightly shaded environment and give it room to let its lax fronds billow. I would have listed this as Zone 6 but was pleasantly surprised to learn that it does well in Binghamton, New York (Donnelly in Olsen 2005), which straddles the border between Zones 4 and 5. Folks in humid areas are not so lucky as it and its cultivars languish in summer heat. Polystichum setiferum in the Hardy Fern Foundation collection at the Rhododendron Species Botanical Garden. Silvery new growth on a Polystichum setiferum cultivar. Polystichum scopulinum in a rocky alpine setting in the Cascade Mountains of Washington State. the confusion both are extremely variable. In addition, they hybridize with each other to form P. xbicknellii. The easiest way to determine which is which is by feel. 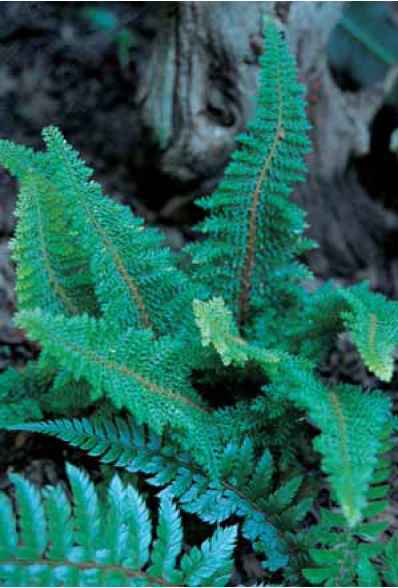 Polystichum ac-uleatum, the hard shield fern, is stiff and leathery. 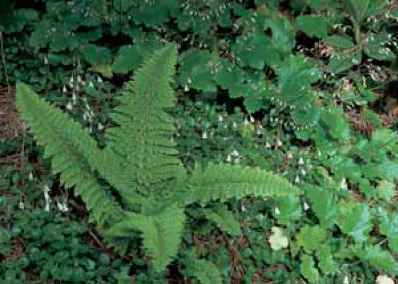 Polystichum setiferum, the soft shield fern, is lax and, yes, soft. In addition, the lower pinnae on P. setiferum are not severely reduced nor is the stipe as short as in P. aculeatum. The development in the 1830s of the Wardian case, a simple to extravagantly elaborate terrarium-like structure, offered plants protection from the suffocating pollution of Victorian England and gave ferns a new and elevated status. 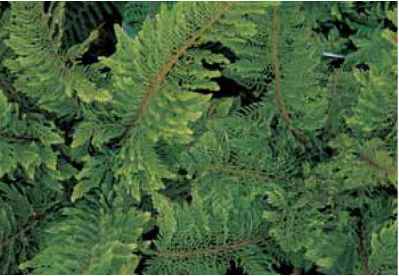 Thus began the collecting epidemic know as the Victorian Fern Craze. In short, ferns were trendy and in high demand. Varieties with slight or major irregularities were especially prized, collected, and either proudly displayed or sold for a tidy sum. 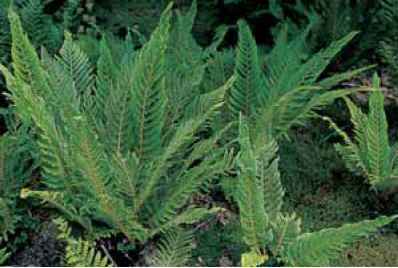 Thus Polystichum setiferum, the common native, yielded at one time some 366 of these varieties. I will not go into them all here! Some have persisted through time (although, regrettably, a private collection of prizes went unrecognized and was torch flamed at the end of World War II to make way for a vegetable garden). 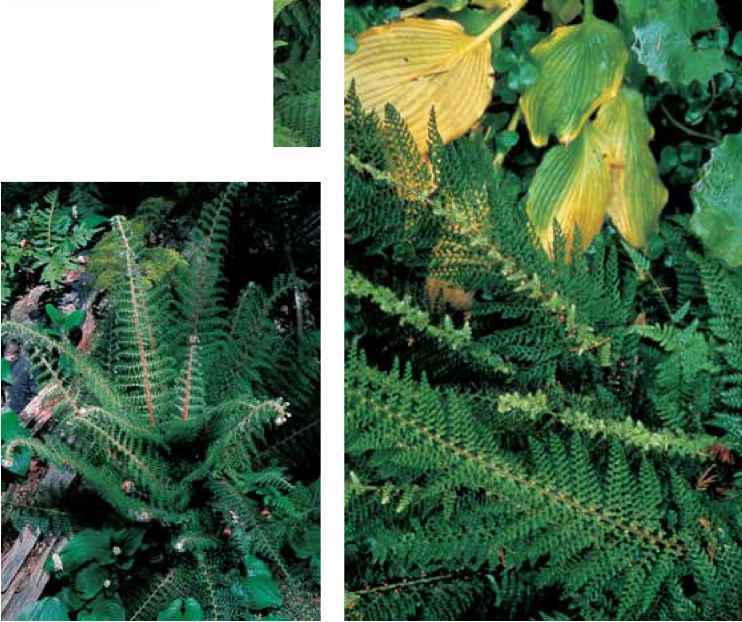 Cultivars have an ardent group of fans, especially in Britain and as this goes to press the British Pteridological Society has just published an excellent and helpful compilation, Polystichum Cultivars: Variation in the British Shield Ferns (Dyce et al. 2005), with a primary focus on P. setiferum. The book divides the variations into 32 manageable groups under the headings "Variation in Shape of Skeleton of Frond,""Vari-ations in Shape or Dissection of Pinnules," and "Other" which includes a variegated group. With illustrations and descriptions it helps to bring order to some of the nomenclature (as well as the plants). Some of the cultivars come true from spores but many do not, although the progeny may be interesting or even, on occasion, an improvement. Frequently produced bulbils can duplicate the parents of sterile forms, and tissue culture has greatly expanded production and distribution. 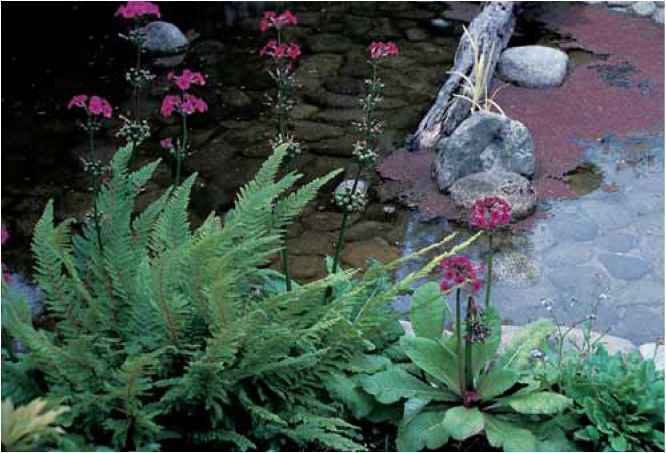 Some of the most decorative cultivars are mentioned here. 'Acutilobum' (acute lobed) is a leathery, 2- to 3-ft. (60- to 90-cm) cultivar similar to 'Divisilobum' but without bulbils. 'Capitatum' (headed) has a heavily crested terminal headdress, but no crests on the pinnae. 'Congestum' (crowded), an upright 10-in. (25-cm) dwarf, has tightly bunched overlapping pinnae and substantially thick foliage. It is suitable for the foreground in the fern bed. 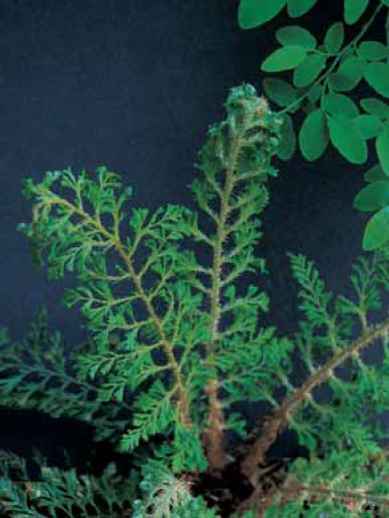 'Congestum Cristatum', which is the same size as 'Conges-tum' and has the same dense structure, has mildly crested frond tips. 'Cristato-pinnulum', an old cultivar dating from the late 1800s but a very attractive one at that, grows to 2 ft. (60 cm). This slender lightweight has narrow pinnae stalks supporting open sprays of bright green fringe. It is basically sterile but reproduces easily from bulbils. Cristatum Group encompasses cultivars with varying degrees of cresting at the pinnae and/or frond tips. 'Dahlem' (after the Dahlem Botanical Garden in Berlin, where it was discovered) grows in an upright cluster to 30 in. Polystichum setiferum 'Dahlem' in the Schmick garden. (75 cm). There are true forms and there are confused forms all distributed under this name. The upright characteristic is deemed to be the genuine feature. Material cultivated in Germany is very attractive and can be reproduced from the abundant bulbils that line the rachis. Bulbils on Polystichum setiferum 'Divisilobum' in the Kennar garden. mine whether the tendencies and efforts to reproduce are affected by stress, the need to preserve the species, or some other cause. 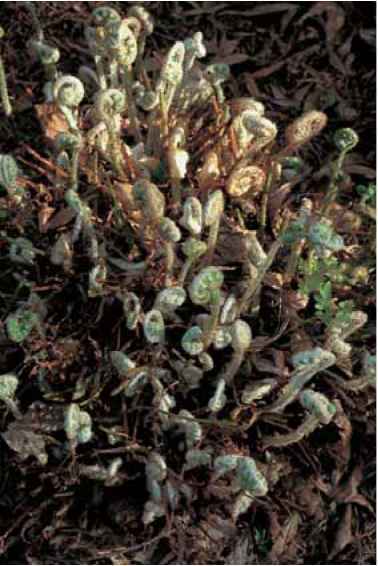 While I hate to perpetrate an incorrect name, it must be mentioned that this is the British fern known commercially in the United States as the "Alaska fern." 'Foliosum Walton' is a splendidly rich (foliose), spreading cultivar with lush, bright green shuttlecock foliage and bipin-nate fronds approaching 2 ft. (60 cm). It has not produced bulbils in my garden, but does come true from spores. 'Green Lace' is the aptly named offspring of one of the rarely produced fertile fronds from the crown jewel of culti-vars, Polystichum setiferum 'Plumosum Bevis' (whose status has just been elevated to Bevis Group). 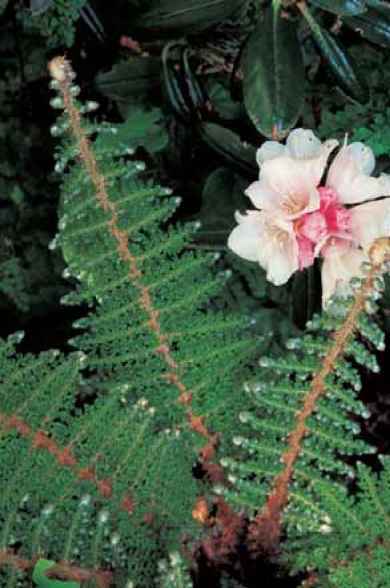 It is a finely dissected, 2-ft. (60-cm) bright green gem for special recognition in the fern collection. Unfortunately it is sterile, but tissue culture offers hope that it will someday grace more gardens. 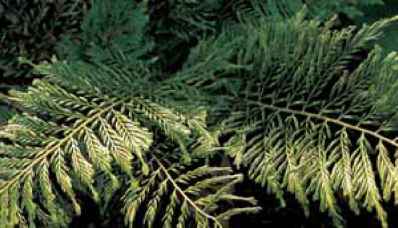 finely divided dark green plumes of fronds. It has been assigned to the Divisilobum Group. 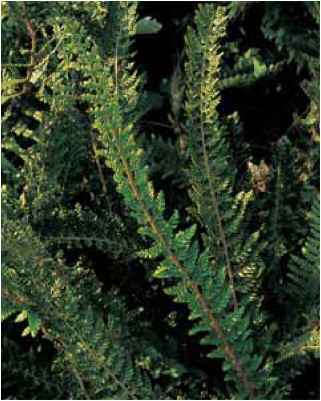 'Iveryanum', a leathery "divisilobe" with dark green, finely divided fronds ranging from 2- to 3-ft. (60 to 90 cm), is bul-biferous and bears crests on the pinnae and frond tips. 'Leinthall Starkes' is an especially attractive cultivar that Martin Rickard raised in 1980 from the spores of a wild find in southern England's Devonshire. It is an airy tripinnate with dark green, bristle-tipped pinnae. 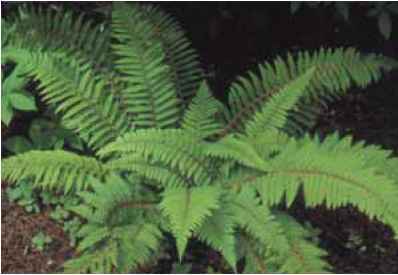 The upper portion of the frond is fertile and narrowed. 'Lineare' (linear) is a 2-ft. (60-cm) cultivar with bipinnate skeletal fronds offering a wide open, spacious appearance. 'Multilobum' (multiple lobes), which can reach 3 ft. (90 cm), has tripinnate, bulbiferous fronds that are similar in outline to the species but are separated by having one additional degree of division. 'Percristatum' (crested throughout) has fronds, pinnae, and pinnules with crests in a truly Victorian manner. 'Plumoso-divisilobum' (feathery, divided lobes) is one of the most beautiful and feathery fern cultivars ever discovered. Layers of gossamer green, quadripinnate (an ultimate in division) foliage dress its fronds in fine plumage. The fronds extend in a sweeping horizontal whorl. This cultivar is appreciated and enjoyed whenever and wherever available, but rarely produces either spores or bulbils. A cultivar tentatively classified (by Sykes and Rickard in Dyce 2005) as a dwarf form has been admired in my garden by many visitors and offers great promise for the size-limited landscape. 'Plumoso-multilobum' (feathery, multiple lobes), synonym P. setiferum 'Plumosum-densum', is another magnificent quadripinnate cultivar that makes an impressive and buoyant understory evergreen. Pinnae and pinnules overlap, producing a dense froth of pale green. This form comes easily and rapidly from bulbils, especially when encouraged by greenhouse conditions. 'Plumosum Bevis', synonym P. aculeatum'Pulcherrimum Bevis', now in its own distinguished Bevis Group, is the cherished treasure among P. setiferum cultivars. 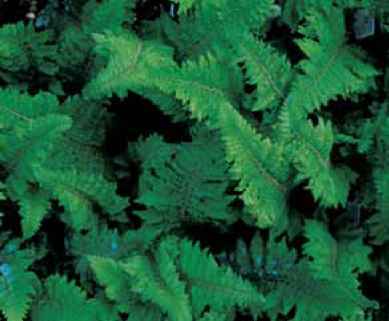 With its satin green, upright 2- to 3-ft. (60- to 90-cm), finely divided fronds, it is a stately evergreen presence and collector's pride in partial shade. Namesake, Mr. Bevis who was in charge of trimming hedgebanks in Devon, England, discovered this prize in 1876 and had the skill and presence of mind to recognize it as "different." 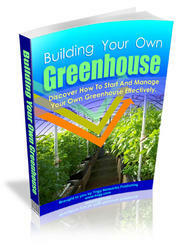 It has been a great gift to horticulture ever since. 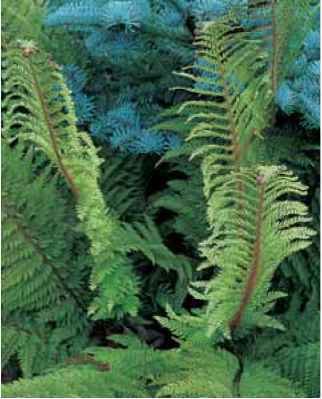 Although sterile it will, on occasion, produce a fertile frond that in turn consistently creates a new generation of unusual ornamentals. In addition, slowly but eventually, it will develop multiple crowns that can be divided. Meanwhile, tissue-culture labs will soon make it a common and welcome commercial offering. 'Plumosum Green', an extremely rare sterile cultivar, was the first to be grown (by C. B. Green around 1900) from the infrequently produced spores of Polystichum setiferum 'Plumosum Bevis'. Feathery lanceolate fronds are tripinnate to quadripinnate. 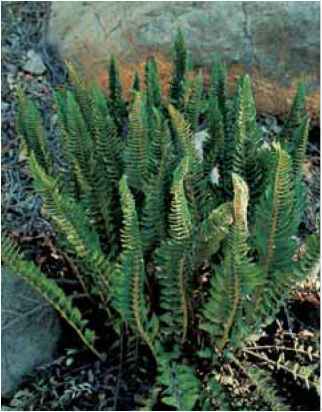 A dwarf form of Polystichum setiferum 'Plumoso-divisilobum'. Polystichum setiferum 'Plumosum Bevis' in the Rickard garden. pinnae segment complete with a bulbil among his Polystichum setiferum cultivars. Propagation of his single bulbil produced this striking, narrowly upright selection. 'Rotundatum' (rounded) is a sturdy dark green 2-ft. (60-cm) form with rounded pinnules. Polystichum setiferum 'Plumosum Green' in the Rickard garden. Polystichum setiferum 'Ray Smith' in the Nittritz garden. Polystichum setiferum 'Rotundatum Cristatum' in the Horder garden. carry a complement of ready-to-grow bulbils along their length.